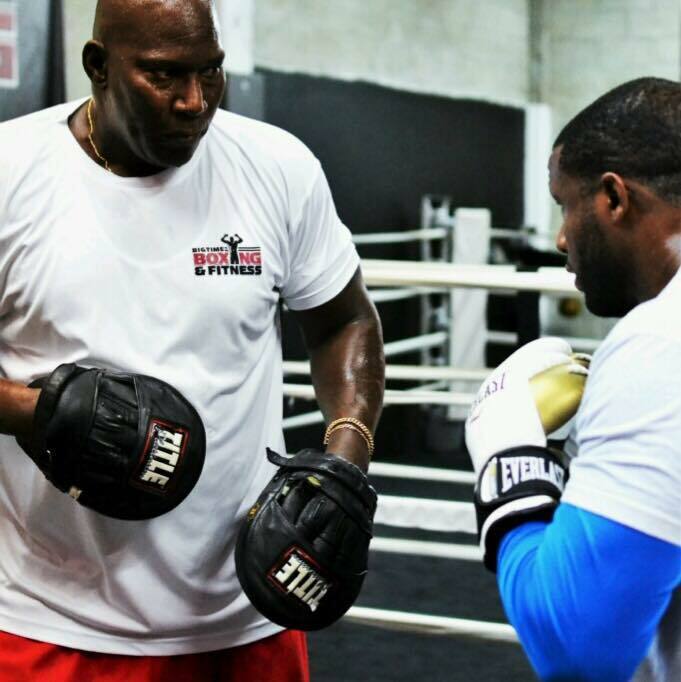 William McGriff is known as “Padman” and is a boxing trainer that works out of The Mayweather Boxing Club in Las Vegas. WV: What is your background within boxing? How did you get started? I started boxing in 1997 and had a martial arts background already when I moved to Las Vegas. Beginning my training at Johnny Tacos boxing gym, my trainers were Tyrone Boone, Jeff Mayweather and Clyde Griffin, the famous fighter Montel Griffin‘s brother. I had a few exhibitions fights as a semi pro fighter, but because of my age it was kind of too late, so I decided to pursue a career as a coach in 2008. This is when I started training amateurs. First boys, girls, women and then men in boxing. Now I train mainly professional fighters in boxing and in MMA for the aspects of boxing. WV: How did you get the nickname “Padman”? I got the name Padman from a UFC fighter by the name of Marcus Brimage, also known as Bama. He has fought Connor McGregor and I’ve been called that every time since then. So, I just went with the flow and now I am trademarking it. Also, I use it on a clothing line with shorts, t-shirts, caps, headgear and gloves. WV: Which fighters do you predominantly work with, and when can we see them in action? Fighters that I have been working with recently are Sharif Bogere 31-1. And he will be fighting in Canada on May 19th, 2018 on the Adonis Stevenson and Badou Jack undercard. Andrew Tabiti 15-0 will be fighting on May 11th in Las Vegas. Charvis Holyfield 7-2 on May 26th, 2018 in Tampa Florida. UFC fighter Hector Lombard recently fought here in Las Vegas last month. He is a UFC legend. Avni yildirim 18-1 WBC champion I trained him in Germany and we had an amazing chemistry. Manuel Charr 31-4, he fights May 4th, 2018 who is a WBA heavyweight champion. I trained him in Germany, and I told him that I was going to take his heavyweight hands and turn them into light heavyweight hands with combinations. WV: What does a normal day consist of at the Mayweather Boxing Club for yourself? I just train my customers on a daily basis. The clients which I currently have are Charvis Holyfield, Andrew Tabiti and Sharee Bogere. WV: Have you ever worked with Floyd Mayweather Jr? In what way? And do you see him fighting in the UFC? No, I have never worked with Floyd and hell no he would never go into the UFC, he wouldn’t be able to take the punishment on his legs. WV: What did you think of Wilder and AJ’s recent performances? Who do you think will win if they ever come toe to toe? AJ‘s performance was horrible, and he didn’t look good at all. He is far from ready for Wilder. As far as Wilder goes he has dog in him and he will continue to dominate the heavyweight division. Especially after the performance against Ortiz. Ortiz was not a walk over and as far as AJ he needs more work. WV: Anything else you would like to add for your readers? I love my job and I have overcome many physical injuries. Having had seven surgeries, I am now able to continue my journey as a boxing coach. In the future I am hoping to go worldwide an accomplish goals with more fighters.